The other night, a friend and I decided to stop by Common Market. We thought it would be a great way to end a relaxing day by the pool, as there are usually a lot of people out and it’s a great place to meet people from all walks of life. We settled in, got a beer, and decided to take a seat inside, as it was raining from what seemed to be the edge of Tropical Storm Ana. It wasn’t long before the rain stopped and we decided to venture outside. What a change of pace – even with the rain and wet seats people wanted to be out on the patio. At first, we decided to people watch. 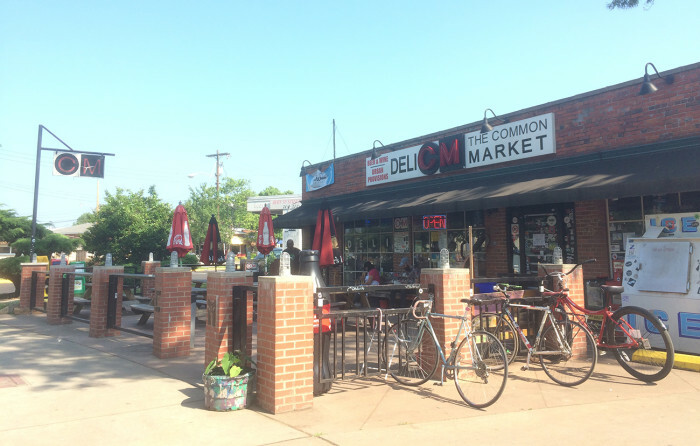 If you know anything about Common Market, you know that it is probably one of the most diverse crowds in Charlotte. We saw people deep in conversation, people on what seemed to be first dates, and people sharing their political views. That’s how we met Gabe. Gabe was speaking with another man who, as we found out later, is running for some sort of city council position – although he spoke so quickly I couldn’t understand what his platform was. We joined the conversation and soon enough, we were speaking to Gabe. Gabe’s story is an interesting one. He’s been living in Charlotte for 9 years, 8 of which were spent working for one of the largest banks in the area as a network engineer. He said he got burnt out and is now a consultant for another bank. We talked about the pressures of both of our respective fields, how uptown is so different from some of the other neighborhoods in Charlotte, and how intuitively easy it is to gather information from people just by watching their body language. Gabe is a really smart guy. He seemed to have a lot of insight into the human experience. I asked him what he loved most about Charlotte. Not surprisingly, he said he loved the diversity of places like Common Market. He explained that these types of places reminded him of his hometown, New Orleans, and that he often missed it. He talked about his parents, their experiences as immigrants, and their desire to have him succeed in life in ways that they couldn’t. One of the things I most enjoyed about our conversation was that Gabe emphasized the importance of being oneself. We talked about the Myers-Briggs personality types. He tried to analyze me and my friend (he did a great job, I might add) and when we would inadvertently apologize for something, he would correct us and say “Hey, don’t apologize! That’s the beauty of life!” or something to that effect. We talked about one of the things that surprised him most about the city of Charlotte. He spoke about how he feels so many people here are trying to be someone they aren’t. I would have to agree with that, although I hadn’t really thought about it before. As young professionals, we are often trying to “find ourselves” and where we fit in, especially in a new city. While most people are on a genuine journey of self-discovery, others use aspects of their lives to mask their true selves. It’s a difficult time for some, especially if you are surrounded by so many distractions. That’s why places like Common Market, aptly named in my opinion, are so important. They remind us of the human experience, that everyone is different yet we are all on this journey together toward self-discovery. So thanks, Gabe, for a great conversation and for reminding me that I am who I am and that’s ok!